Trailer system. Photo © Bren-Tronics. Q: In as brief and lay–terms as possible, tell us about “expeditionary power” or “off-grid power”. What is it, and why is it so important to modern ground forces? And take us through the evolution of bulky batteries and noisy generators to what is available today. A: The modern expeditionary unit has needs that are vastly different from even 5 years ago. Their devices require more and more energy so their personal and overall unit loads get heavier and heavier. When we discuss expeditionary power we look at it from both the individual warfighter’s level to the unit’s power requirements. For the individual warfighter we continue to innovate by providing more power and energy in the same footprint, this obviates the need for a new battery footprint (something the military is deadset against) and allows the use of existing chargers and ancillary products. For the overall unit we have developed energy storage trailers that harness renewables (solar and wind) and tie them in with energy storage and a standard military generator. This allows the unit to provide power from the battery, never turning on the generator as long as the sun is shining and the wind is blowing, and if it is needed it will only run in order to charge the batteries. Generators in the past weren’t sized correctly for the application and power needs, sometimes providing 10X more power than was needed, thus using much more fuel than was required and eventually destroying the generator (known as “wet stacking”). By “right sizing” the total energy storage system and tying it in with renewables and energy storage you can dramatically cut the fuel requirements, leading to less fuel deliveries needed and less lives put at risk delivering fuel. We are also developing larger energy storage devices that can tie in larger wind farms and/or solar farms as well as take energy off the grid and store it for when it is needed. Q: Over the course of that development what have been the specific challenges in designing/manufacturing vehicle mounted and/or man carried power sources for ground troops... And what has Bren-Tronics done to specifically meet those challenges? A: When designing chargers for vehicle mounted applications you have to consider not all vehicles are created the same. Additionally, almost all the useable space is already allocated for other uses. To manage these challenges we designed smaller charging units that are universal and can provide more charging options for the warfighter with a smaller footprint. Since we are able to provide more energy to the warfighter, this allows them to bring fewer batteries. Manufacturers have also worked closely with us and the military designing many of their products around our standard military batteries such as the BB-2590/U and BB-2557/U. Our renewable energy platform for portable use includes complete systems such as the “REPPS” kit – which is a rucksack kit that includes solar panels, charge controllers and adapters to provide power to recharge their batteries in the field. Q: Within what you are at liberty to discuss, how and where are your “portable power” solutions being used? 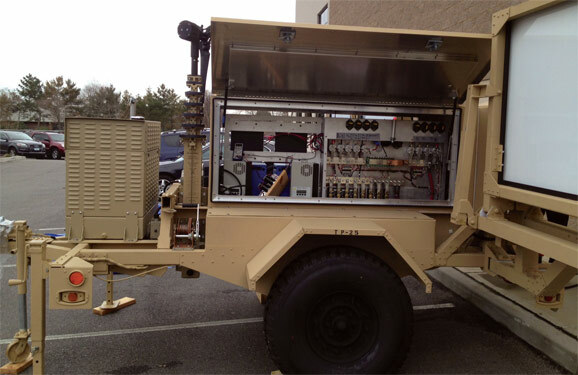 A: Portable power is used by all warfighters worldwide who have “boots on the ground.” They use our batteries to power their radios, robots, IED jammers, etc. They are using our recharging kits to provide power to their batteries from AC and DC power, solar, wind, fuel cells, etc. We are constantly finding new uses for our products, including our 50W fuel cell from UltraCell, especially in cold-weather climates. Q: What are the relative advantages, disadvantages of current portable power technologies, and with that in mind why has Bren-Tronics chosen to focus on the particular solutions it has? A: When you considering portable power you must be able to fit the battery to the application, it’s never the other way around. Even if widely utilized for commercial applications, rechargeable batteries are not yet fully deployed within international Armed Forces. Although the latest Lithium-Ion systems offer the highest specific energy (200Wh/Kg+), safety and reliability remain the true technical challenges to address for military applications. Bren-Tronics was the first company to design a military Li-Ion rechargeable battery for the US Army in 1995, as well as the first company to make a state-of-the-art charge indicator for military batteries and the first universal charger. Since then, we are continuing to improve protection circuitry, Li-Ion cell selection and mechanical integration focusing on lighter weight, colder temperature operation and/or higher discharge rate. Standardization is the key for the logistic deployment of consumable products such as battery packs within the Armed Forces. Over the past 20 years, we have designed a standard family of rechargeable battery packs offering various form factors and voltages, but limited to about 15 different types. Typical battery life is multiple years. Hence, the users can update their battery performances regularly. Charging logistics is another challenge. 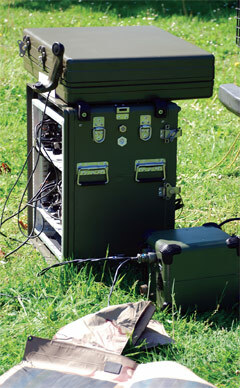 Bren-Tronics has developed and fielded universal chargers to many international Armed Forces. The chargers are designed for operational usage and not per battery type. Thus, after 15 years, our chargers are servicing over 80 different battery types of various chemistries and manufacturers. 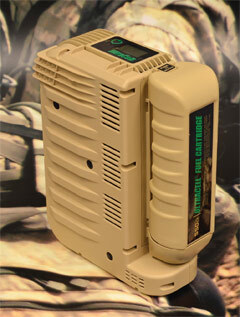 Software based, the charger can be easily upgraded in the field with the addition of any new battery pack. Joint International operations such as Afghanistan demonstrated the efficiency of this concept when US, French and Georgian troops exchanged their electronic equipment and were able to use their fielded Bren-Tronics chargers. Q: How are you working with US DoD, and other militaries in terms of providing your solutions? Are you working through/with any specific Project Managers or Programs, or under contracts you are at liberty to discuss? A: We work very closely with the U.S. Department of Defense (DoD) as well as all “friendly” Ministries of Defense around the world. We find it critical to not only work closely with the specific program offices of the Military (e.g. CERDEC, CECOM, PM SWAR, PM MEP, JIEDDO, etc. ), but with the original equipment manufacturers (OEM’s) who are building the products utilizing our batteries. As of today, Bren-Tronics is active in more than 60 countries. We are dealing directly with the Ministries of Defense and other local agencies. Our goal is always to propose standard, universal and in the field proven designs with the latest available technology at a reasonable cost. Reformed Methanol Fuel Cell, XX55 from Ultracell, a Bren-Tronics subsidiary. Photo © Bren-Tronics. 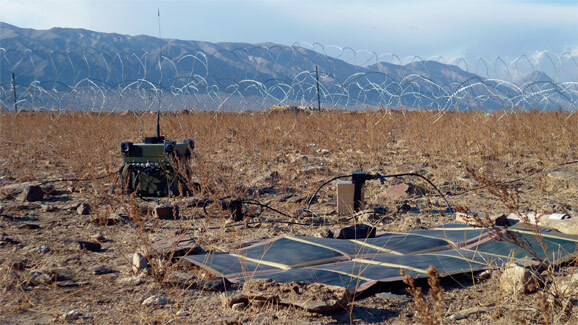 Q: As you see it, what challenges remain in creating the “ultimate” portable power source for today’s “Networked Soldier” for use in the Ground Combat environment, and without revealing anything proprietary, what is Bren-Tronics doing to surmount those challenges? A: In the not too distant future, every soldier will be responsible for not only their weapons, food and water, but their energy as well. They will be connected to the other soldiers in their unit, to their base and to the network, back in the U.S. if needed. There has been much talk about a central battery, with a “power manager” providing power to all their portable devices. We are leading the way in this effort offering the safest, most reliable and cutting edge products. The technology will always improve faster than the military programs. Therefore, an “ultimate” portable power source solution should be first based on the flexibility for the warfighter to adapt and tailor his power sources according to his mission profile based on standard and interchangeable modules. This is already true using the same standard battery modules from few watts application such as a radio manpack up to several kilowatts for advanced detection system such as transportable radar. Safety, Universality and Inter- Operability are key tenets for Bren-Tronics. We have been designing and manufacturing batteries, chargers and complete power systems for over 40 years, our core business is our only business.